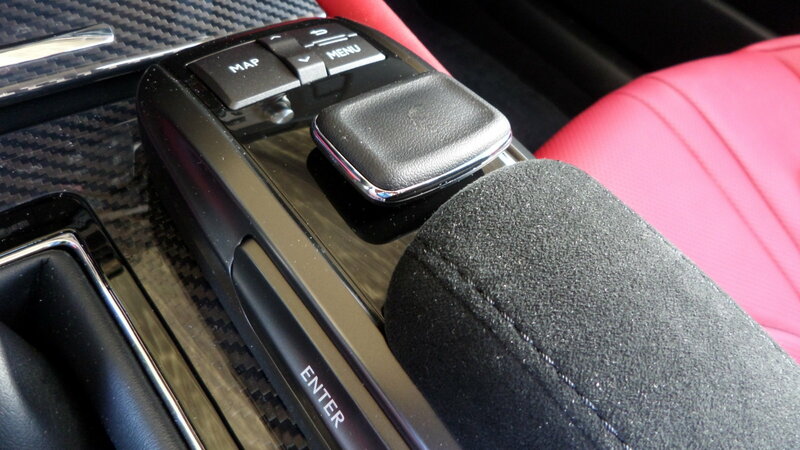 Daily Slideshow: Take a detailed look at the Lexus GS F luxury sports sedan through this slideshow of closeup shots. The Lexus RC F is one of my favorite sports cars, but with only two doors, and a cramped rear seat, there are times I could use more room. This brings us to the GS F shown here. It has the same rubber burning acceleration as the RC F, as it uses the same potent V8 engine, It handles just as good with its adjustable driving modes, for superb traction when zipping around tight corners. Yet with four doors and a larger trunk, it can haul more people and gear. This makes it more practical, while still retaining the "fun" factor. Sort of like eating your cake, and having it too. 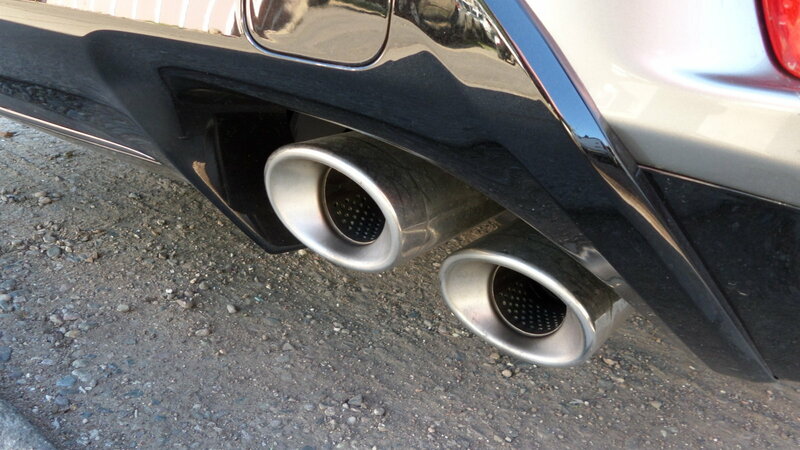 A look at the four exhaust tips lets you know there is something special under the hood. If the looks don't impress the onlookers, the roar of that V8 certainly will! 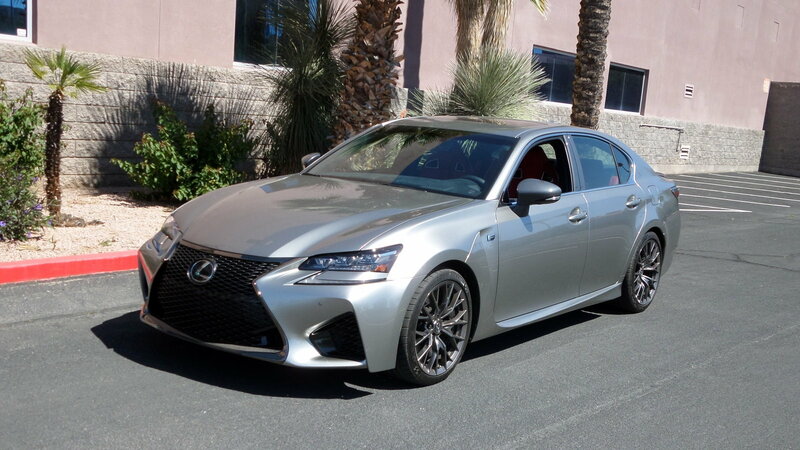 Join the conversation about the Lexus GS F right here in ClubLexus.com. 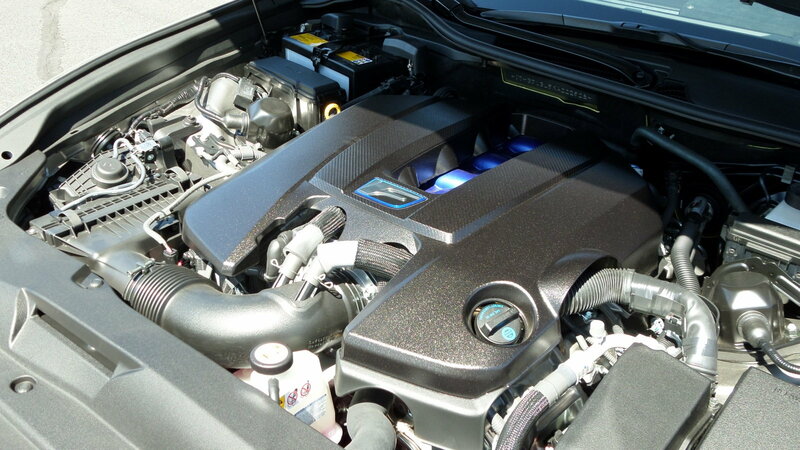 This 5.0-liter DOHC 32 valve V8 has direct port injection and cranks 467 horsepower. It is hooked to an 8-speed direct-shift transmission, and Torque Vectoring Differential. The factory claims a brisk 0-60 mph time of 4.4 seconds. Fuel economy is listed at 16/24 mpg. 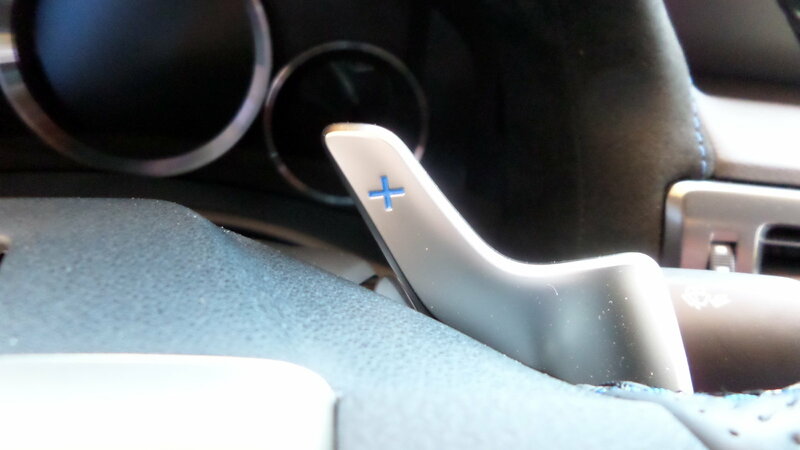 Choosing gears manually is easy with well-placed paddles located on the steering wheel. This is more practical than steering column mounts found on some other brands. 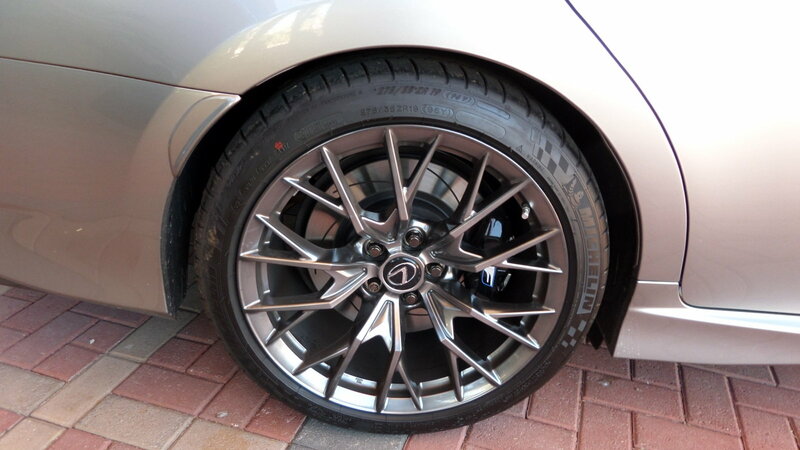 Forged alloy wheels with 255/35R19 tires in front and 275/35R19 rear keep this car glued to the road. 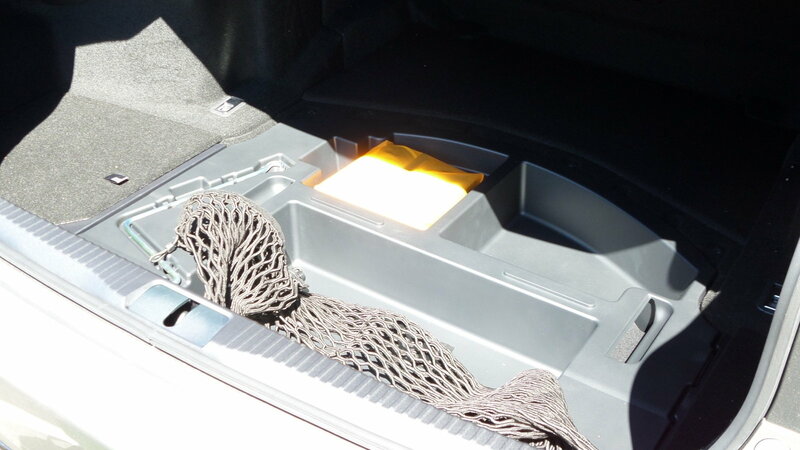 The trunk offers more room over a smaller sports car. No spare tire is supplied to save weight, just an inflating repair kit. 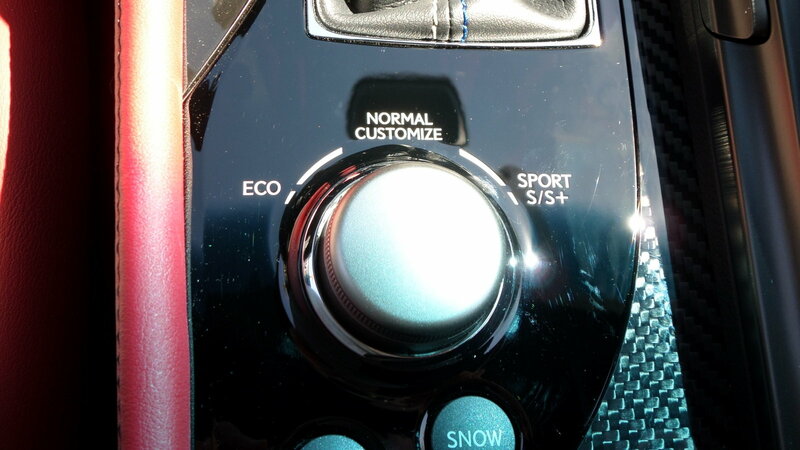 This magic knob provides ECO, NORMAL, CUSTOM, SPORT, and SPORT+ modes of operation. 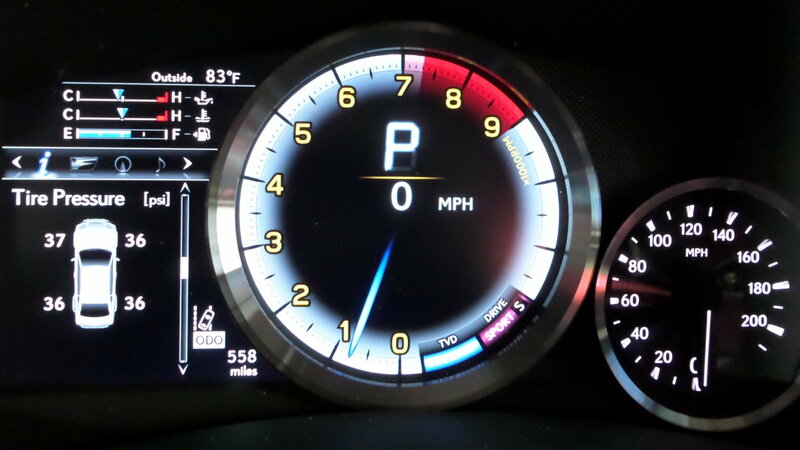 Then the Sport gauge that allows a better view of tachometer readings. 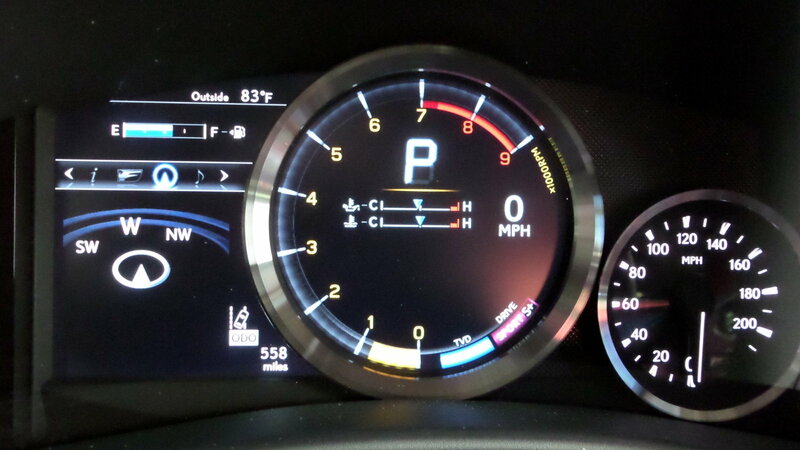 The infotainment system is controlled by a handy stick rather than the newer touchpads used on other Lexus cars. 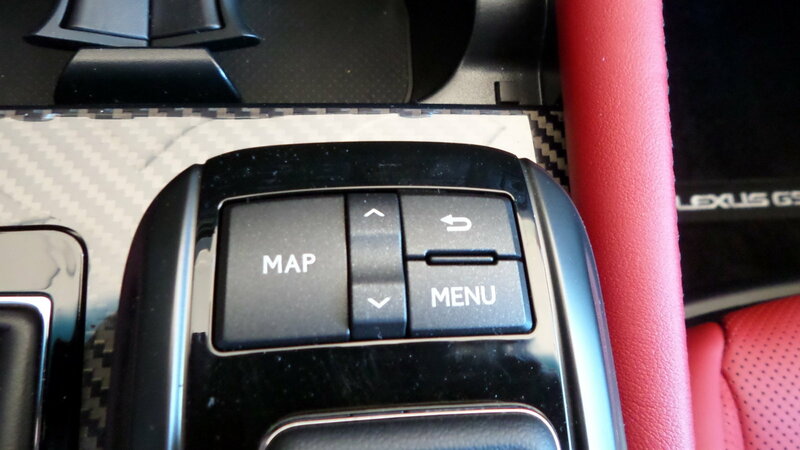 The map/menu buttons are easy to use. 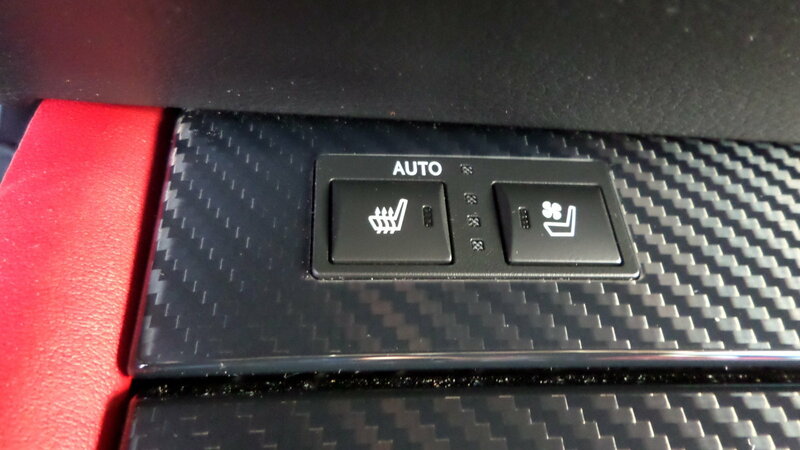 Adjusting the seat temperature is just a simple button away. 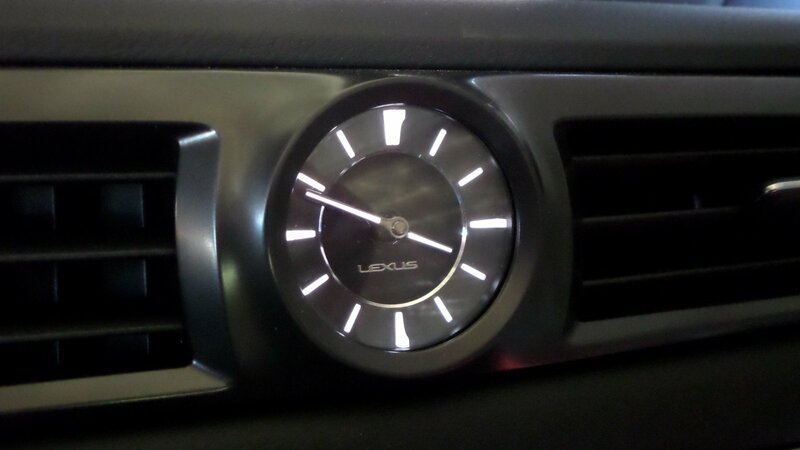 There is nothing better than an old fashioned analog clock, especially one that works after the warranty runs out! 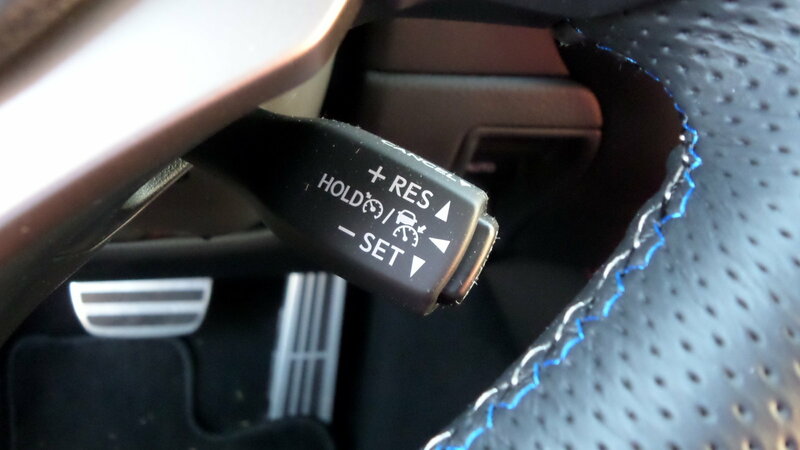 The cruise control stalk is placed out of the way but is easy to reach if needed. 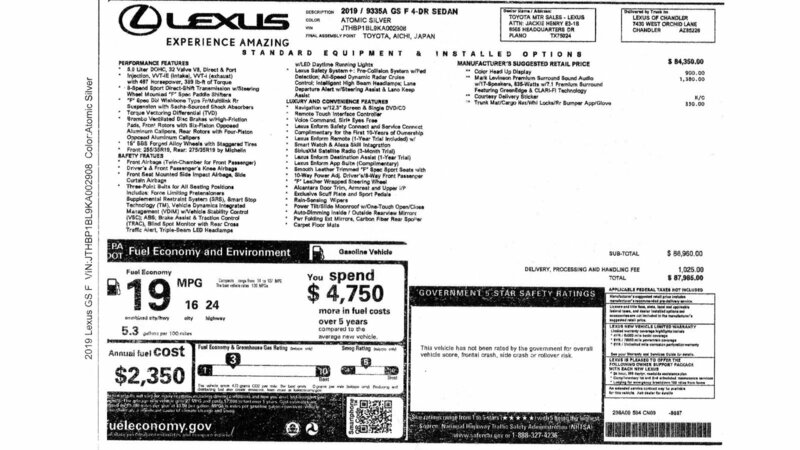 The base price starts at $84,350. As expected, options add to the price tag. 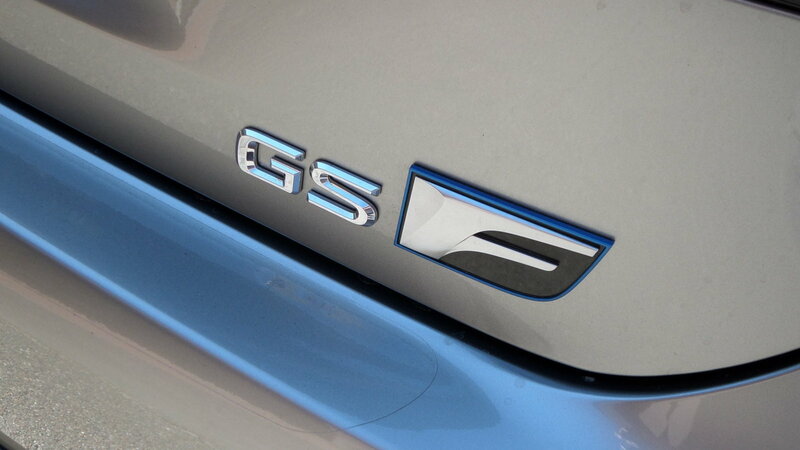 For those who can't decide between a practical family sedan or road burning weekend warrior, the GS F can do both.